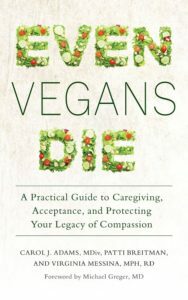 The most common question—by far—that I receive from readers of this blog is “how do I become a vegan dietitian?” Most who are interested in pursuing this line of work have concerns about whether there will be jobs in which they can promote a vegan diet, and what kinds of challenges they might face in school. I’m not sure I’m the best person to provide advice. It’s been a long time since I was a dietetics student and, in fact, a long time since I taught dietetics students. Likewise, I am not at all an expert on the current job market in dietetics. I do have some thoughts about how animal advocates can fit themselves into this field, though, which I’m happy to share. For better or for worse, becoming a registered dietitian is really the only way to gain true credentials in the field of nutrition (unless you intend to do research, in which case a PhD degree is a better option). To become an RD, you’ll need to get a bachelor’s or master’s degree in an accredited program, complete an internship, and take a national test. The ADA’s website has information on what this all entails. You’ll need to develop a taste for the sciences, too, because nutrition is built on a foundation of biology, chemistry, biochemistry, microbiology, and physiology. Many of the people who write to me would like to locate a “vegan-friendly” college. But there just aren’t that many of those. I don’t think it matters much where you get your dietetics education, though. Rather than look for a school that supports your view on veganism, I would suggest that you look for one that meets your needs regarding location and finances—and then consider your dietetics program as an opportunity for advocacy. For example, there are many ways in which you could use independent projects and reports in classes to explore issues related to vegan nutrition. Chances are that it’s the only way your fellow students and even some instructors will be exposed to these issues. There will certainly be challenges, though. A couple of classes in dietetics programs involve hands-on food preparation, including preparation of animal products, along with tasting of these foods. Talk to the instructor ahead of time and explain that you choose not to consume animal products for personal reasons. You’ll be required to learn the concepts taught in those classes and pass the exams, but you should also be able to arrange to do some type of extra credit to make up for whatever hands on activities you don’t participate in. And again, it’s a chance to educate. Your unwillingness to taste the soufflé that your class makes is likely to give rise to questions from classmates about why you don’t eat eggs—a chance to talk with some future health professionals about these issues. 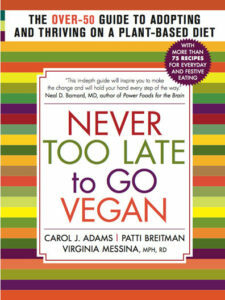 You won’t come out of your dietetics program and internship as an expert in vegan nutrition. An R.D. credential is preparation for entry level positions in dietetics and should be viewed as a starting point. Vegan nutrition is a specialty and (it should be) a never-ending education. Plenty of people have perfectly good careers in nutrition without learning much more than what they pick up from favorite newsletters or books. You could do that, too, but I’d like to make a plea for a more dedicated approach to becoming a true expert, because I think it’s important for the future of this field and for effective animal advocacy. Being an expert involves becoming familiar with the research that pertains to veganism by reading the actual nutrition research (that is, articles published in peer-reviewed journals, not books by your favorite vegan advocates.) It takes a while to get up to speed on vegan issues, and it’s not always especially exciting work. Reading these papers can be snooze-inducing to say the least. It’s also a little frustrating because the first thing you’ll learn when you dive into the research is that we have just as many questions as answers about nutrition. Not surprisingly, people prefer answers, and many are understandably drawn to those who emphatically profess to know the one and only healthy way to eat. But being honest about what the science really shows—even when that’s not popular—is crucial for the health of vegans and the effectiveness of our work for animals. Not surprisingly, the vast majority of job openings for dietitians are not looking for vegan specialists. If you are hired to do nutrition counseling, for example, most of the people seeking your services will be those who eat animal products. Again, this is an opportunity to share information about veganism. When I taught lifecycle nutrition in the dietetics program at Central Michigan University, I had my students create vegan menus for children and pregnant women. I’m not sure that other instructors would have considered that to be important. I also was asked to be a guest lecturer on vegetarian issues in classes taught by other instructors. As a nutrition specialist at Michigan State University, I was able to develop workshops on vegetarian and vegan diets for home economists and the public. Vegetarianism and veganism are popular; if you establish yourself as the resident vegan expert, people will seek you out when they need information about veganism, or have a vegan client, or are looking for an article for their newsletter or a presentation. 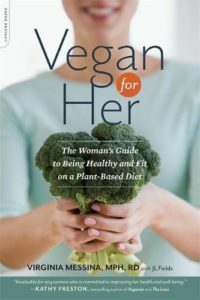 If vegan dietitians aren’t available in more traditional settings, how will clients and professionals learn about veganism in a positive and fact-based way? A background in dietetics also allows vegans to respond knowledgeably and with credibility in forums with other nutrition professionals, or via letters to the editor or comments in response to inaccurate information in print or on the internet. A fair amount of my time is devoted to work on vegan-related projects, articles and resources for dietitians, nurses and other health professionals. Whether or not you’re working in a dedicated vegan setting, your status as an expert in vegan nutrition will give you endless opportunities to promote a vegan diet, and sometimes to talk about a vegan ethic. And needless to say, the dietetics profession needs as many animal advocates as it can get. 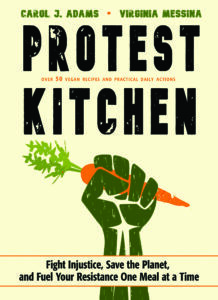 Whether or not you can find your dream job as a vegan dietitian, getting a degree in dietetics and putting it to use in any setting is good activism. 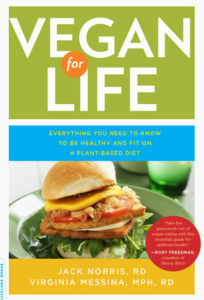 So to summarize, becoming a vegan dietitian involves organic chemistry, possibly working in traditional nutrition environments, spending endless hours reading (often boring) research papers, and trying to convince people who have read the latest best selling diet book that you might actually know more about nutrition than they do. If that doesn’t sound good to you (and there are plenty of days when I’m not sure it sounds all that great to me), that’s okay. Being a nutrition expert is just one of many ways in which you can promote veganism. And given the tremendous need for all different kinds of talents and knowledge in this movement, there is a niche for everyone.